Daniel Ricciardo joked he would refuse to race in the Singapore Grand Prix if his retirement at Monza means he has to serve a grid penalty at Marina Bay. Ricciardo failed to see the chequered flag for the fourth time in six races after suffering an apparent power unit failure. Victory at the Monaco Grand Prix looked to have lifted Ricciardo into title contention, but he has not even taken to the podium since. Now trailing Red Bull team-mate Max Verstappen and set to leave the team for Renault at the end of the year, much of the air has been let out of Ricciardo's 2018 season. Having started the last two races from the back of the grid and retired midway through each time, Ricciardo cannot face another penalty at a Singapore race that Red bull will have hopes of competing at. 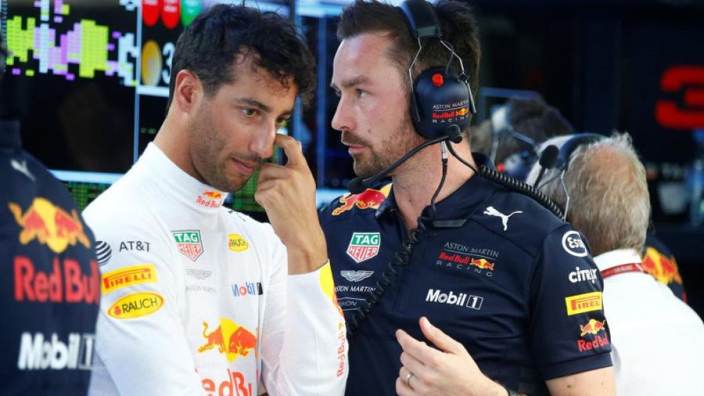 "That's good to know," Ricciardo told Sky Sports when told Christian Horner had reported that he has an old engine available for Singapore. "I hope so. If I've got a penalty in Singapore I'm probably not even going to show up. "So I hope Christian's right and, if so, that's music to my ears." Ricciardo was none the wiser as to why his engine blew, but said such failures have come to characterise the campaign in his eyes. "It's not always fun," he said. "Honestly, looking at the whole year it's been pretty frustrating. "I still don't know what it was. I passed [Lance] Stroll into turn one and then out of the corner I looked in the mirrors to see if I was clear of him and I couldn't see that well, that's when I realised there was smoke coming out the back."